The Globe and Mail is reporting that Best Buy Canada have announced they will be entering the used video game market this summer. The company ran a market test at six of its Future Shop stores in Calgary, and now plans to expand their used video game offering to all 133 Future Shop stores by the end of the summer. This is great news for Canadian gamers as the competition between Future Shop and current used game leader - EB Games - could mean lower prices for us hard working video game consumers. 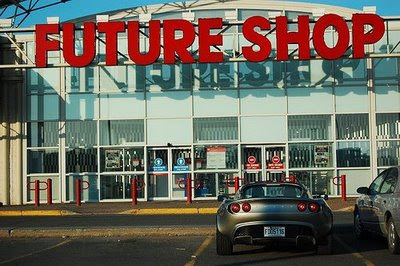 "To lure customers, Future Shop seems to be prepared to undercut EB on prices: While EB's margins on used videos are as much as five times those of new ones, Future Shop expects its margins to be just four times, she said. And because its target customers shop online, Future Shop plans to sell used games from its website by the end of this year or early in 2009." Cheaper used games on the horizon...this is indeed great news for Canadian gamers. I'll be tracking this story closely, stay tuned to NextGen Player for updates as they unfold this summer. This is BIG BIG awesome news.